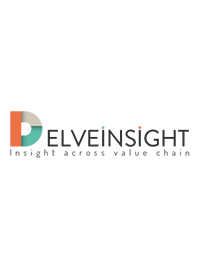 DelveInsight’s "Hospital Acquired Methicillin-Resistant Staphylococcus Aureus Infections - Market Insight, Epidemiology and Market Forecast - 2027" report provides a detailed analysis of the Hospital Acquired Methicillin-Resistant Staphylococcus Aureus Infections epidemiology and market outlook for the 7MM. The market report provides the overview of the Hospital Acquired Methicillin-Resistant Staphylococcus Aureus Infections by providing the disease overview, definition, classification, symptoms, etiology, pathophysiology and diagnostic methods. It also covers the detailed treatment approaches and therapy areas under research and development for 7MM. The report provides a comprehensive account of the total patient pool, diagnosed cases and potential patient pool eligible for the treatment. It also includes the explanation of changing trends of epidemiology after evaluating numerous studies, survey reports and views of key opinion leaders. The Report provides the 10 years forecast from 2018 to 2027 segmented by seven major markets, enabling to understand the potential of the Hospital Acquired Methicillin-Resistant Staphylococcus Aureus Infections in the respective markets. The epidemiology data is presented with graphs and tables to provide a clear assessment of the landscape. The report’s market outlook delivers an understanding of the country-specific revenue and share by analyzing the performance of the current therapies and potential uptake of new products. The in-depth analysis helps to recognize the growing demand of the market by evaluating the annual cost of therapy, compliance rate, competition with other therapies, covered patient segment, impact of emerging technology in the forecast period. The views from the key opinion leaders adds more value to the analysis. This segment provides the relevant graphs and tables to have an effective outline of the Hospital Acquired Methicillin-Resistant Staphylococcus Aureus Infections market. To understand the future market competition in the Hospital Acquired Methicillin-Resistant Staphylococcus Aureus Infections market.